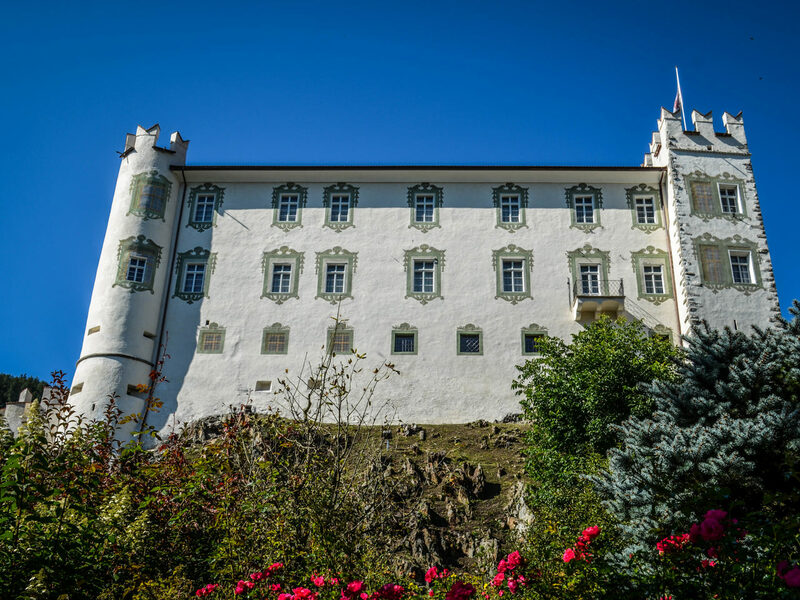 Among the cultural, artistic and architectural showpieces of Pustertal we absolutely have to mention Ehrenburg Castle near Kiens – even if today it is privately owned and therefore unfortunately no longer open to the public. The imposing castle is located on a little hill at the foot of Mt. Getzenberg in the village Ehrenburg, which belongs to the municipality of Kiens and is only a stone’s throw away. Large areas of the castle date back to the 12th century and partly they still are preserved in their original Romanesque style. However, the eastern part has been converted in 1732 by the former owners – the counts of Künigl – by using baroque elements. 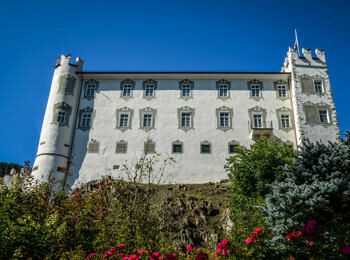 One special quality of Ehrenburg Castle is that it is still completely furnished. 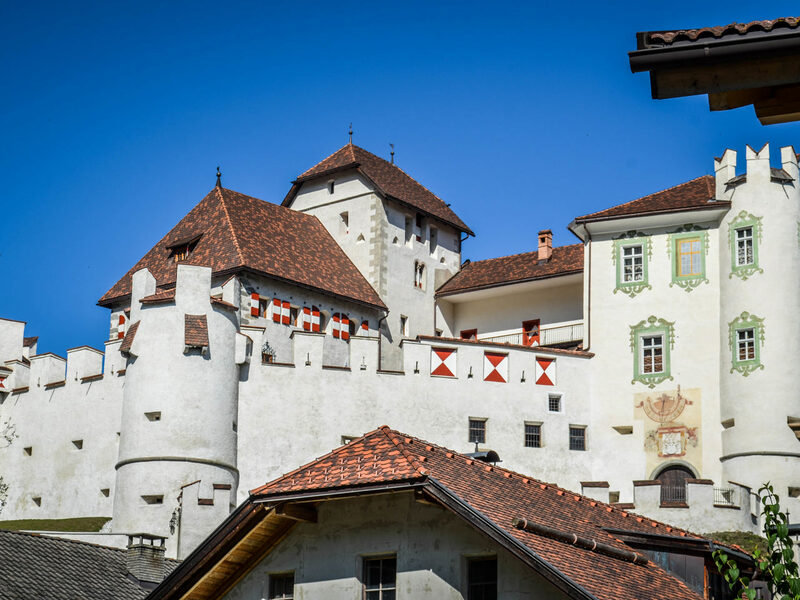 Moreover it is both a fortified building and a nobly arranged residence. The façade is characterized by two turrets – a round and a square one – with battlements. A jewel of the castle is also the inner courtyard right behind the entrance. On three sides it is enclosed by wonderful arcades with granite columns and round arches. 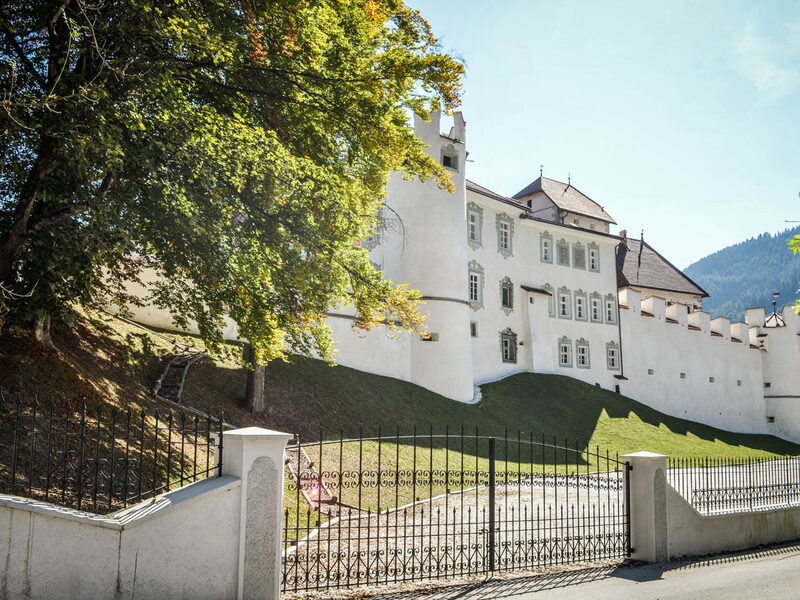 If you come to Kiens in Pustertal, you should visit Ehrenburg Castle at least at distance or rather from outside. The pleasant walks around Kiens and Ehrenburg are just the right thing for doing it.